Our contemporary technology tends to center on touchscreens, which present us with flat, pixellated versions of ideas and objects. 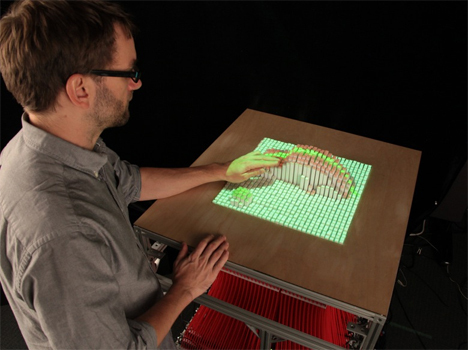 The future of user interfaces could be much more tangible thanks to MiT’s inFORM, a shapeshifting display that lets users interact on both digital and physical planes. The inFORM looks a lot like the pinscreen toys that used to adorn executives’ desks. Each individual “pin” is attached to a motor. 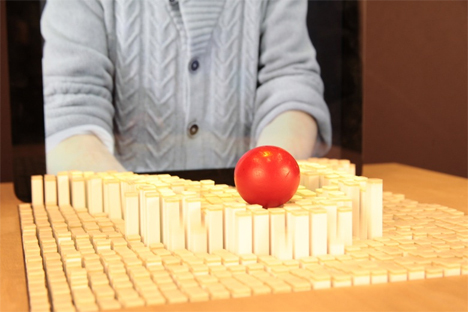 The pins can move to represent digital objects physically, and they can also interact with physical objects, even when the user is far, far away. The device can be reasonably compared to a computer monitor that displays not flat images, but dynamic, moving shapes. Two users on opposite ends of the system could play catch with one another or even perform complex actions like high fives or even handshakes. Users can even create and manipulate their own shapes limited only by the number of pins on the board. 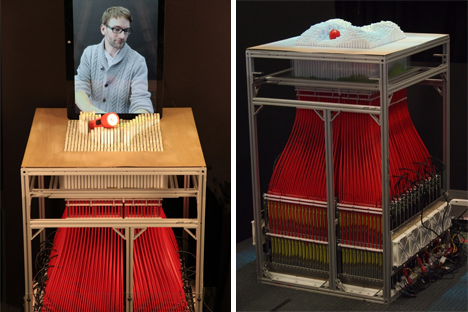 The concept is a beautiful example of interactive design and may be an early glimpse of the future of computing. See more in Computers or under Gadgets. November, 2013.